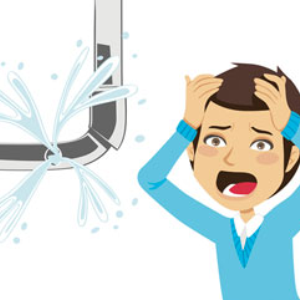 Plumbing emergencies in Knoxville can be very scary for several reasons. 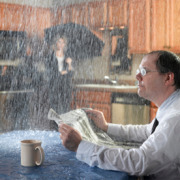 You may find that you are faced with possible water damage, structural damage, or worse. However, in case of plumbing emergencies, there are just a few tips that you can try before picking up the phone and calling an emergency plumbing service. Here, we have gathered a few of those tips for you. With just a bit of DIY knowledge, you may be able to save yourself a lot of worry, along with a lot of money. So play it safe and follow our instructions below, then call your local professional. There are a few things that you might do when experiencing plumbing emergencies in Knoxville that could actually make the issues worse. The first thing id to panic. Do not panic. Think calmly and logically and plan your next few steps of attack. Think about opening any outside spigots that you might have to allow water to flow out of your pipes. Also be sure that you can locate your main shutoff valve in the house. You can turn this off completely by turning the valve clockwise. Do this if you are experiencing a leak or burst pipe. Turn off your water heater, too! During even the worse plumbing emergencies in Knoxville, do your very best to find out just where your leaks are coming from. If the leak you are experiencing is small, try using a product like Teflon tape or Plumber’s epoxy to keep it from causing a larger mess. In the case of a larger leak or burst pipes, you may want to try the old bucket trick. Just set a bucket below the leak and empty it as it fills. You can even sometimes use towels to minimize damage. One of the most common plumbing emergencies in Knoxville, next to leaks or burst pipes, is that of a clogged drain. Before you freak out, feel free to try pouring hot water down the drain, using a plunger, or even trying to purchase some of the fluids in stores that are meant to help clean and clear drains. You might just find that one of these will work. If you have tried some of these and the drain has not responded, then call in a professional.